For the Jhara tribe of Ektaal village, the Dhokra craft tradition runs in their veins. 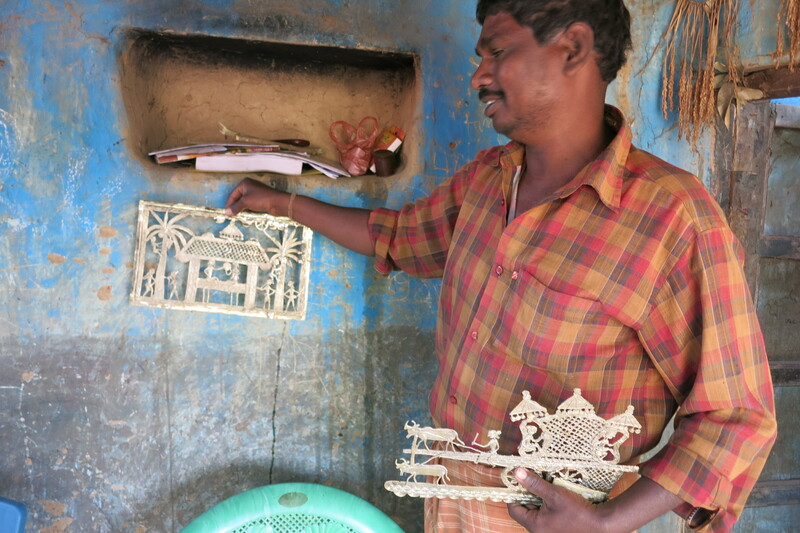 For the Jhara tribe of Ektaal village, crafting their intricate Dokra sculptures runs in their veins. Our visit here was the offshoot of a trip to Chhattisgarh and Jindal Steel Foundation, which is doing good work encouraging these artisans. 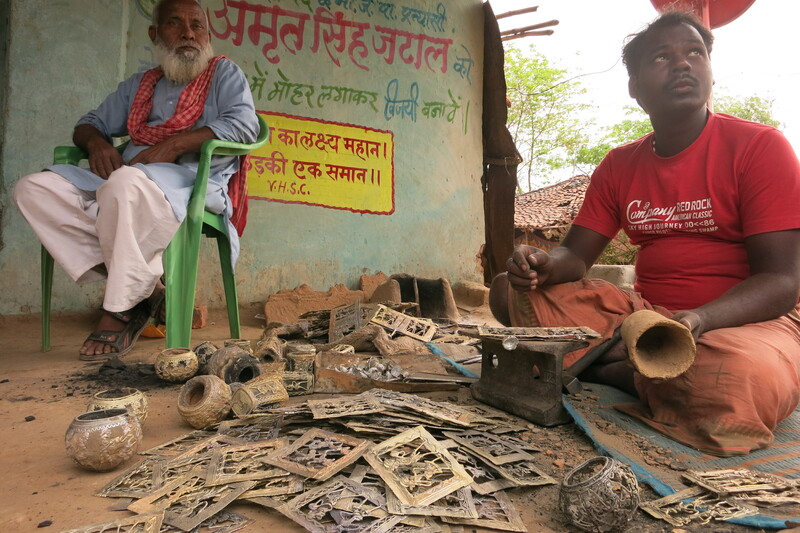 An hour from Raipur, we were greeted by the sight of craftpersons working at the entrance to their huts, surrounded by sculptures they had created using bell-metal. It’s virtually an artisan market, where each family specialises in the craft that has been passed down generations. The village, its earthiness, the welcoming smiles, the ease with which they mention tours to Europe and other art fairs, even as the women stand by shyly, is a story in itself. 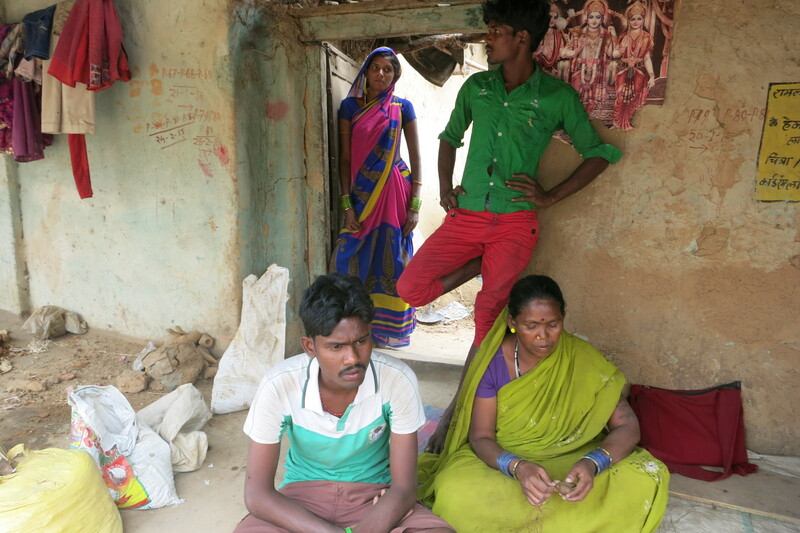 As one takes in their mud-walled huts, it’s difficult to absorb the fact that Ektaal is home to over 20 national and state awardees. There’s Ram Lal Jhara, who received a national award in 1988 and was honoured for his depiction of the Shravan Kumar episode in the Ramayana. Meanwhile, 70-year-old Gobind Ram Jhara learnt the craft at the age of 10, received the national award in 1988, the Shikhar Samman from the Madhya Pradesh government in 1984 and has toured Japan, Hong Kong and Singapore to popularise the Dokra tradition. 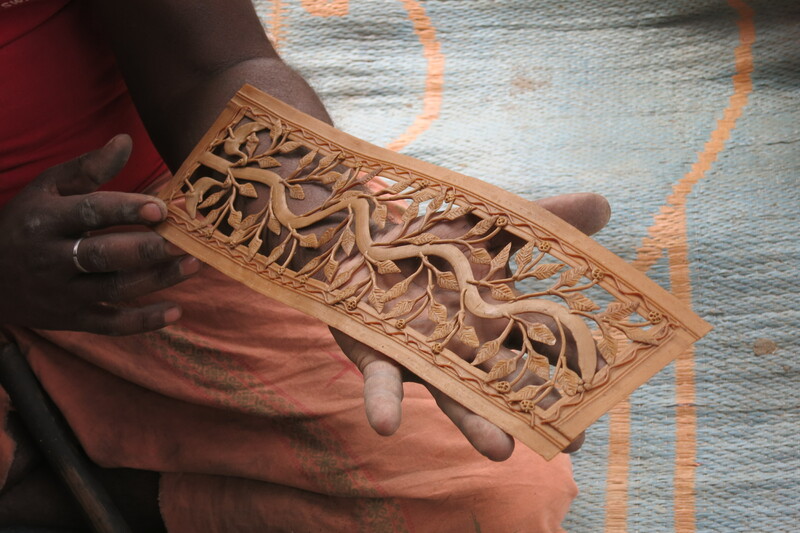 Even as the Dokra craft becomes ubiquitous in the capital’s emporiums and upscale stores, the artisans continue a daily struggle to survive. The price of brass has gone up four times in recent times, Daya Lal Jhara informs us, even as he whips out craft treasures for us to feast our eyes on, and of course, buy! 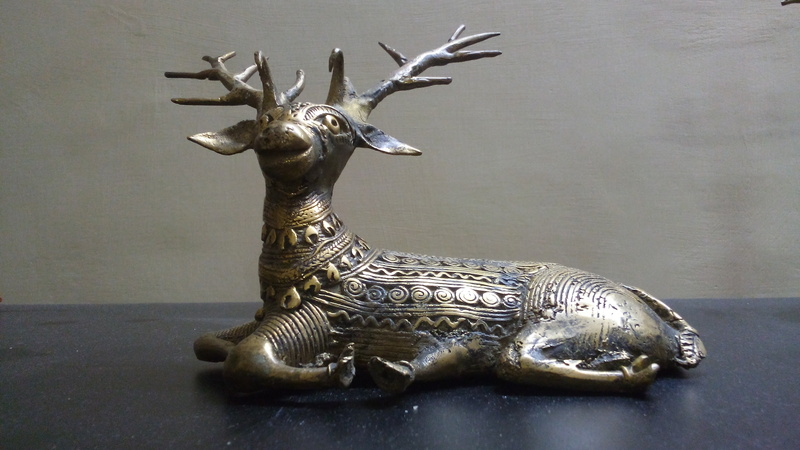 There are standalone sculptures, wall-art serving as key-holders, besides a host of animal figures, graceful tribal folk and jewellery as well. The process involved is intricate and laborious, involving several rounds of baking a wax model covered in clay, finally pouring molten metal into the mould and waiting for it to set, before breaking it open to allow the sculpture within to emerge. The artisans are enthusiastic, showing us catalogues, where they have created made-to-order products. We leave with the overwhelming feeling of having witnessed great art and yet more proof of India’s rich cultural and craft heritage.